Stay tuned here for launch readings and other incredible events! 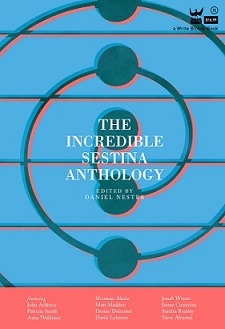 Hi-res cover image of The Incredible Sestina Anthology. The Incredible Sestina Anthology Reading in Philadelphia! Come sign up to read your own sestina or one from the book! With David Lehman, Sharon Mesmer, Iam Sparrow, Jade Sylvan, Victor Infante, Marilyn Nelson, Patricia Carlin, Sharon Dolin, Scott Edward Anderson, Michael Costello, Jason Schneiderman, Jeanne Marie Beaumont, Jenna Cardinale, Marilyn Nelson, Brendan Lorber, Ned Rust, and others TBA! 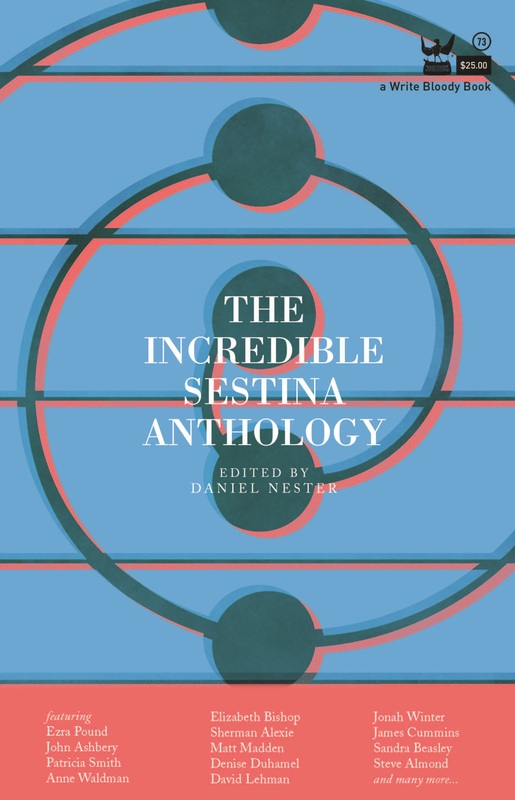 The Incredible Sestina Anthology comes to Cambridge, MA! Paul Muldoon, Scott Edward Anderson, Patricia Carlin, Victor D. Infante, Jason Schneiderman, Drew Gardner, Carley Moore, and more! Jonah Winter, Quraysh Ali Lansana, Marty McConnell, Kent Johnson, Jenny Boully, Elizabeth Hildreth, Michael Costello, Kathleen Rooney, and more! With Patricia Smith, Paul Hoover, Geoff Bouvier, Ravi Shankar, John Hoppenthaler, Sarah Green, Beth Gylys, Sharon Dolin, Nate Marshall, Tomás Q. Morín, Richard Peabody, Tara Betts, Sonya Huber, Aaron Belz, Jade Sylvan, Kiki Petrosino, James Harms, Jeffrey Morgan, Sandra Beasley, Marilyn Nelson, Lynn Kirkpatrick, Jay Snodgrass, and more! Daniel Nester and contributors will be on hand.